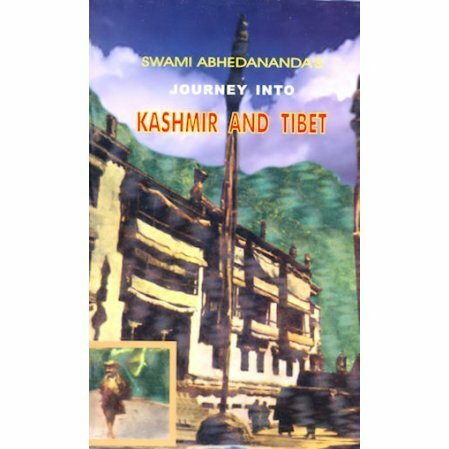 Swami Abhedananda's chronicle of his search for the truth of Jesus' sixteen years in India. We read in the book of a land that had been hidden/ closed for decades. This book is also a travel log of his visit to Tibet, an area long closed to outsiders. Includes extracts from The Unknown Life of Jesus Christ by Nicolas Notovitch. The story of the swami's travels is full of historical references. The book is replete with information about the spread of Buddhism in Tibet, China, Japan and Korea, and the life, manners, and customs of that area. The work is further enriched by the inclusion of documents relating to the unknown life of Jesus Christ in India, hitherto unpublished. The old manuscript that they showed Sw. Abhedananda says that Christ moved to India at 13, partially to escape his parents and keep them from forcing him to marry. During Christ's travels in India, he learned how to read and understand the Vedas. He later spent 6 years with Buddhists and learned Pali and studied all the Buddhist scriptures. The swami further says, "The lama said that after resurrection, Jesus Christ came secretly to Kashmir and lived in a monastery surrounded by many disciples."